May 21 - Mid Oct. This small primitive campground offers views of the San Francisco Peaks and camping opportunities in the cool aspen trees that surround Lockett Meadow. This is a terrific campground for those who cherish a real mountain camping experience and love to hike Wilderness trails. The Inner Basin Trail that goes into the heart of the ancient volcano begins in beautiful Lockett Meadow. From this island of emerald ringed with aspen and high peaks it follows a primitive road into the mountain's now quiet Inner Basin. Extensive stands of aspens cover the steep slopes of the old caldera coloring them solid gold in early fall. In spring and summer, wildflowers add a sprinkling of blue, red and yellow. Avalanche tracks streak down the talus slopes and remnants of old lava flows bear witness to the mountain's cataclysmic heritage. You may see porcupine and elk or the hermit thrush who sings his best here. Even Black bears have been known to stroll right through groups of picnickers without so much as a glance at their lunches. Leave No Trace: Recognize your role in preserving wild lands by practicing these LNT principles: 1) Plan ahead and prepare, 2) Travel and camp on durable surfaces, 3) Dispose of waste properly, 4) Leave what you find, 5) Minimize campfire impacts, 6) Respect wildlife, 7) Be considerate of other visitors. 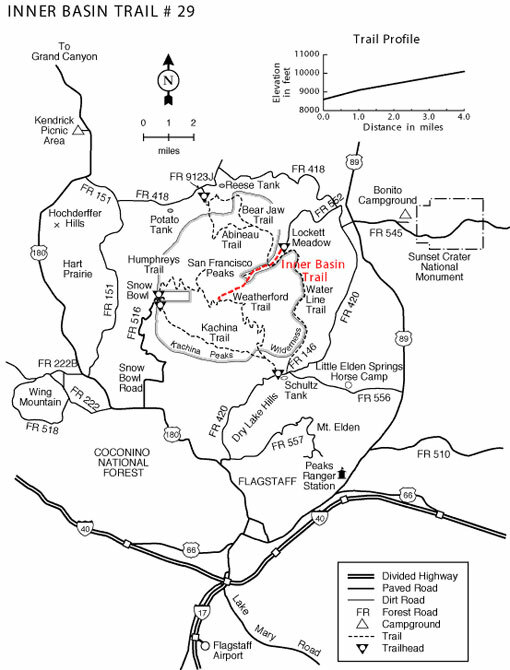 Location: Drive northeast of Flagstaff on US Highway 89 for 12.5 miles to Forest Road 420 directly across from the Sunset Crater National Monument turnoff. Turn left (west) for about 1 mile to Forest Road 552. 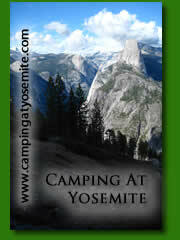 Turn right at the Lockett Meadow sign and continue to the campground. This dirt road is closed in early spring and late fall due to snow. GPS: N35° 21' 33.3", W-111° 37' 9.732"
Horses are not allowed in campground or Inner Basin. Motorbikes/ATVs may only be used for entering or leaving campsites and only if they are "street-legal"